How to honor his resurrection in an authentically Jewish way? Yeshua is alive. Not just alive in our memories. Not as a spirit, a ghost, or a zombie. He is a living, breathing human being who was at one time totally dead. The idea of literal resurrection from the dead might seem bizarre, but it is essential to Judaism. Rambam codified it in his thirteen fundamental principles of Jewish belief. It was one of the key beliefs that distinguished the Pharisees from Sadducees in the Second Temple Era. The sages made a game out of finding proof of the resurrection from the Torah. Resurrection themes are abundant in the Prophets, Midrash, and daily prayers. Even the resurrection of the Suffering Servant, the Mashiach ben Yosef, is described in Jewish literature. In Messianic Judaism, the resurrection of Yeshua is one of our most treasured truths. He is the first fruits of the great resurrection of the Messianic Era that we will all one day experience. Just as his miracles were a foretaste of what will one day be commonplace, his resurrection was a demonstration of the special access he had to the World to Come. It also foreshadows the rebuilding of the Temple and the end of this exile. Considering the significance of this event, some kind of intentional commemoration seems merited, even necessary. After all, it ranks no less than other great salvations and miracles in Jewish history, such as the victory of the Maccabees, which we celebrate on Hanukkah and the deliverance of the Jews of Persia, which we celebrate on Purim. Even events in the lives of individual rabbis are commemorated by their followers. For example, Chabad Chasidim celebrate the anniversary of the release of the Alter Rebbe from prison, treating it as the “new year” of their movement. Our faith in the resurrection of Yeshua sets us apart from the rest of the Jewish community. Instead, it is something we share in common with Christianity. On this basis, one might suggest that Messianic Judaism should engage with longstanding Church tradition on this point. And yet, adopting Christian customs to commemorate the resurrection poses serious difficulties. One problem is that the death of Yeshua is an extremely sensitive point in Jewish-Christian relations. It has been the basis for horrific anti-Semitism. “Christ killer” is the most frequent and persistent pejorative term for Jews used by Christians. Over the centuries, violent anti-Semitic mobs have often mobilized after Easter sermons and Passion plays. Although this happens less frequently in this generation, and many Christians today are not even aware of this painful legacy, the memory is no less vivid in the collective Jewish memory. Messianic Judaism is not a syncretic blend of Judaism and Christianity. (In a way, one might say that Christianity began as an offshoot of Messianic Judaism.) The resurrection of Yeshua was an event that Jewish people experienced before Christianity existed. So it must be possible to commemorate it in a natively Jewish way. People who don’t believe in Yeshua’s resurrection are not going to be happy no matter what we do to celebrate, but nonetheless it is important that our application of Jewish tradition is respectful and contextually appropriate. And yet, we are not the only Jewish movement with distinctive customs that reflect our history and perspectives. Since resurrection is so fundamental to Judaism, symbols and customs pertaining to it already abound in Jewish practice. Furthermore, Passover is the context in which it occurred, and the holiday is rife with the imagery of redemption. 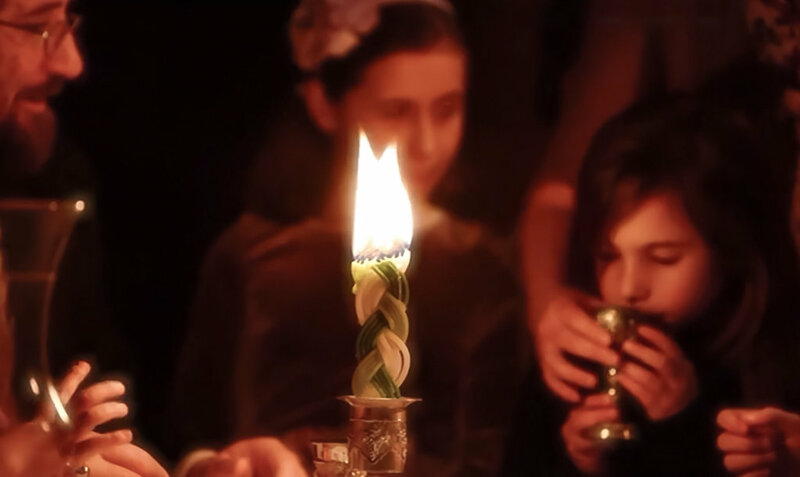 Some of the most vivid resurrection-related customs in Judaism occur on Saturday night. In Judaism, nightfall on Saturday is when the first day of the week begins. 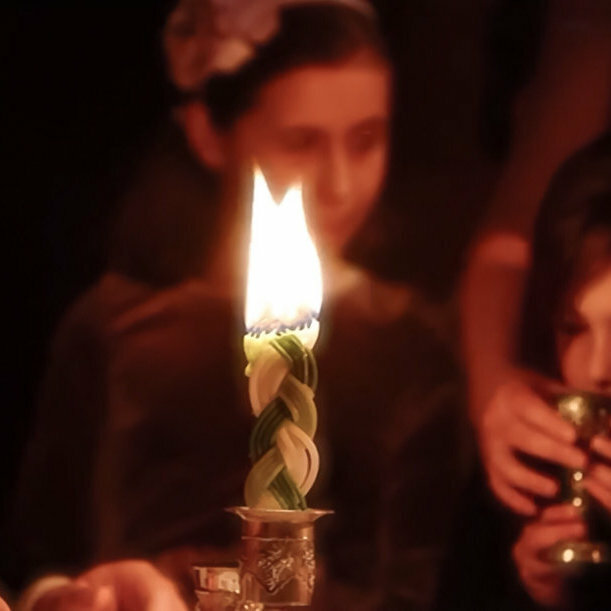 Although Shabbat is over, the evening still holds onto the Sabbath’s sweetness and festivity. The Havdalah ceremony inaugurates each week with the beautiful symbols of a cup of wine, fragrant spices, and a multi-wicked candle. According to legend, God revealed to David that he would die on the Sabbath. After the conclusion of every Sabbath, King David would host a feast of celebration and thanks for having made it through another week. This is how the Saturday night meal custom arose. There are strong indications that the disciples who met together on the “first day of the week” in Acts 20 were meeting on Saturday night and observing a customary meal very much like this one. The “Meal of King David” is worth celebrating every week of the year, but on the week of Passover, I propose that this is the perfect time to rejoice that our anointed King is alive. Perhaps this approach does not work for everyone, but I would love to see this custom spread in the Messianic Jewish community, because I think it shows honor to the resurrection of Yeshua in an authentic and meaningful way.